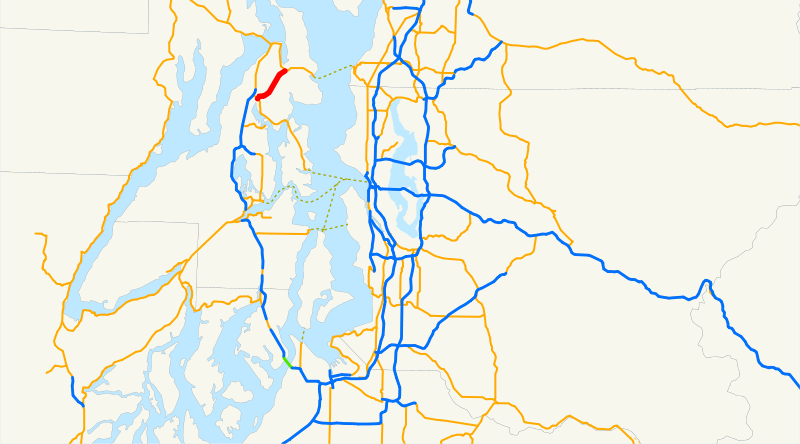 On Saturday, July 26, 2014, we drove Washington State Route 307 across North Kitsap. 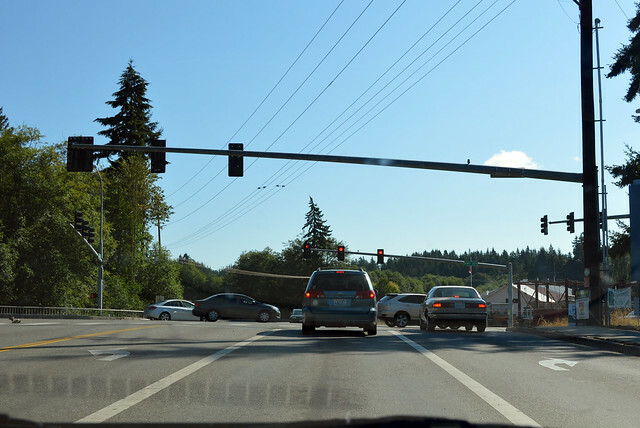 With our backs to old Poulsbo and the giant Viking statue, Highway 307 begins at this junction with SR 305. 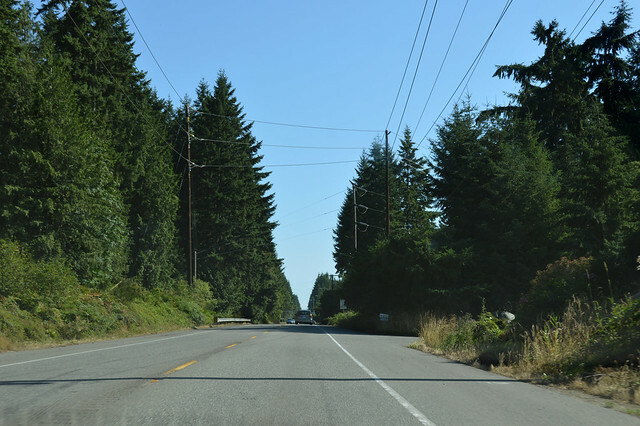 Highway 307 starts as a slow, narrow road through a verdant canyon, but it gets its act together and soon we're speeding across the countryside like so many other western Washington highways, surrounded by trees and the whoosh of other cars. 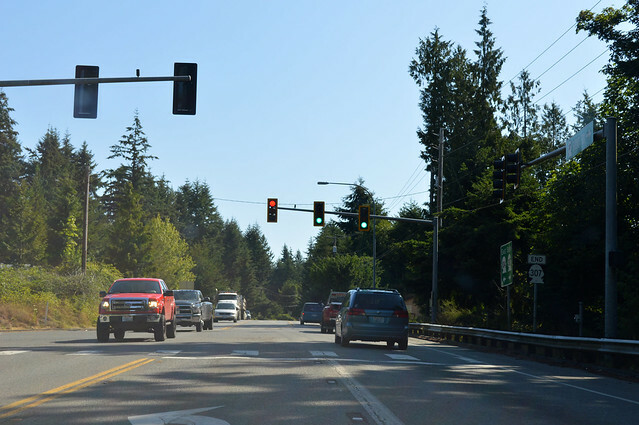 There are no middle junctions for SR 307, so we took this photo at the midpoint. The busy road continues. 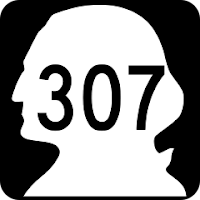 Many drivers are no doubt heading for the Kingston ferry, or coming from there. 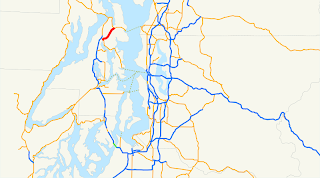 We're not, though, because the ferry is part of SR 104, and SR 307 ends here near Miller Lake at a junction with said same highway. Not a very inspiring highway, but it sure seems useful.